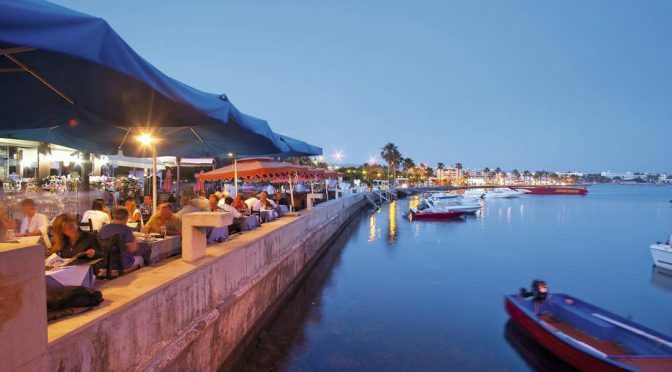 Paphos is a World Heritage Site and has been inhabited since the Neolithic period and was a centre of the cult of Aphrodite, the Greek Goddess of love and beauty, and of pre-Hellenic fertility deities. It has been selected as a European Capital of Culture for 2017. In Greco-Roman times Paphos was the capital of Cyprus and it is well known for the remains of the Roman Governor’s Palace, where extensive, fine mosaics are a major tourist attraction. Paphos’s history attracts divers to explore the crystal clear waters, underwater ruins and wrecks and the abundant marine life fed by the Eastern Mediterranean sea. The water temperature is perfect for scuba diving and snorkeling and ranges between 16 to 27 degree Celsius. it is a short distance to Coral Bay and St. George’s Island where there are various diving spots, sea caves and grottos.